"Staff are always polite and helpful, nurses are very caring and doctors are fantastic." "Always so efficient and helpful." Given a patient satisfaction rating of 91% by the National Patient Survey. 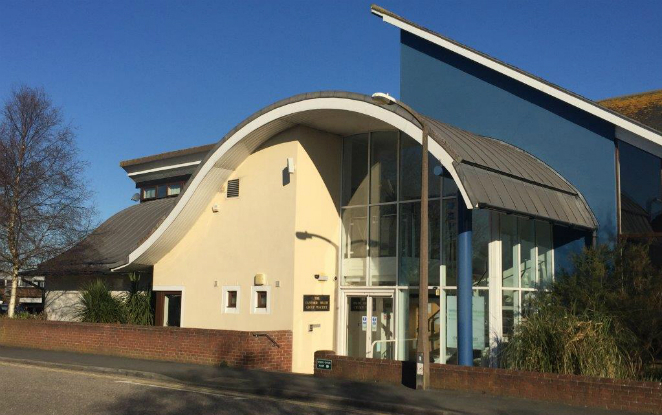 The doctors and staff at The Canford Heath Group Practice in Poole are proud to offer the highest standard of innovative, but patient-centred healthcare from our modern spacious building. Our friendly multi-disciplinary team members are always happy to help you. We hope you will find everything you need to know about the practice through this website as well as a host of other health related information. Please do have a look around! Weds 27th March 3.30 - 6.30. For medical assistance during this time please telephone 111. Testing you if appointments have to be cancelled. Sending you messages because blood tests are due. Texting you important information about your care at the practice. If you wish to opt our of receiving text messages please ask the receptionist to leave a message with the Practice Manager. The Canford Heath Group Practice is a Parkrun Practice. These free weekly 5K events are for all ages from 4+ every Saturday morning. 2K junior parkruns for 4-14 years old are available on Sunday mornings. There are over 750 locations in the UK. The Practice is linked to Poole Parkrun, but other runs locally take place at Upton Country Park, Bournemouth, West Moors and Blandford. Parkrun is accessible for all whether you run, jog, walk, volunteer or even spectate. We are working to improve access to appointments for our patients, in particular at evenings and weekends. If you would like to be offered one of these appointments, please ask. These appointments may be at a different site; for example, Wimborne or Poole Hospitals. In order for the GPs and Nurse Practitioners at the practice to effectively plan their day and rounds, we ask that requests for home visits are made before 10.30am. Your usual GP, if they are working, will visit you if the request is made before 10.30. Visits after this may be dealt with by a GP you do not know. We respectfully remind patients that home visits are for the housebound. We are proud to be a teaching practice, training the next generation of GPs. You may be offered an appointment with our Registrar who is a fully qualified doctor, but one who is now training to be a GP. Our Registrar can call on their mentor (one of the GPs at the practice) at any time should they need to. Their clinical work is also strictly monitored by their GP trainer/mentor. For the purposes of teaching it may be necessary for your record to be reviewed by the Registrar and the teacher/mentor after your appointment or during one of the Registrar's one-to-one teaching sessions with their GP trainer/mentor. Please be aware that access to your records is strictly controlled and in line with our confidentiality policy.